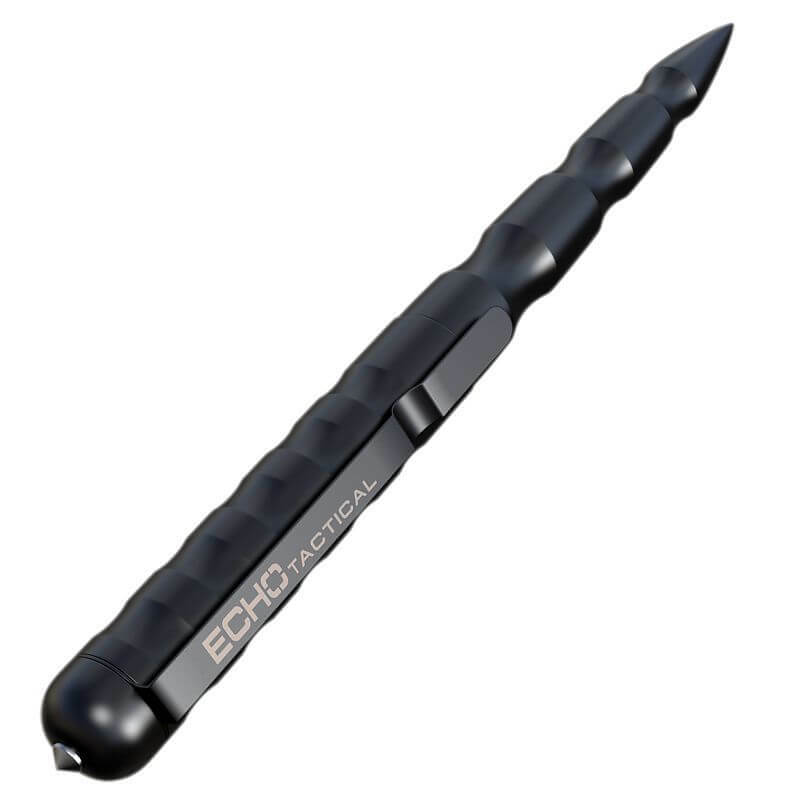 The Echo Tactical ETP227 Tactical Pen is an extremely effective self defense option that can be carried discreetly, ready for use at any time. 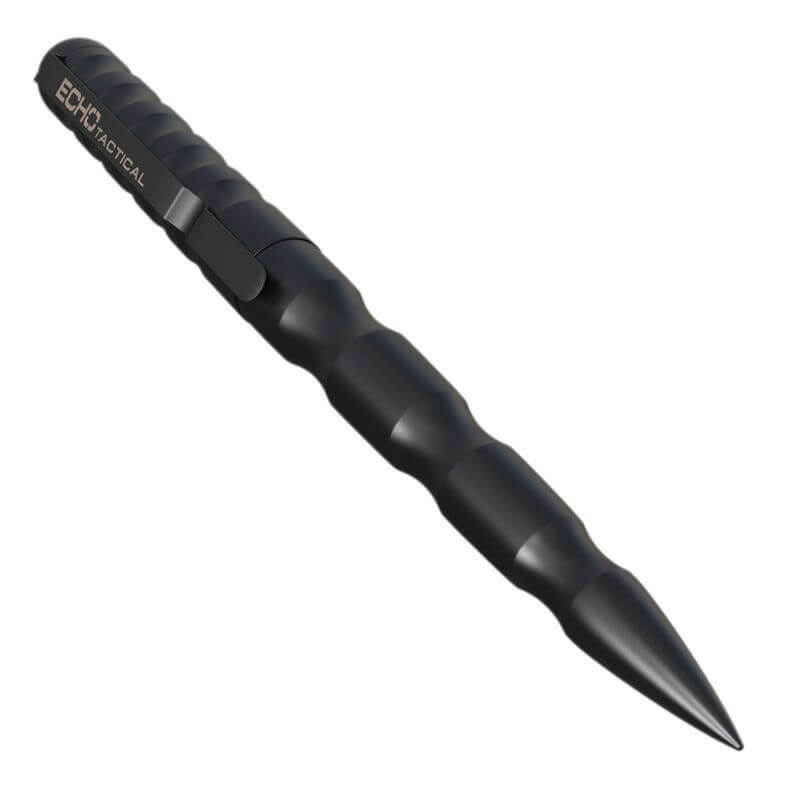 It is made from aircraft-grade aluminum, giving it the strength it needs to strike forceful blows. Its glassbreaker tip concentrates the force of its impact into a small area, allowing it to shatter windows with ease for emergency escape and rescue. Finger grooves in its handle provide a secure grip, so it won't be jarred out of your hand by a heavy impact, and its stainless steel clip makes it easy to carry. 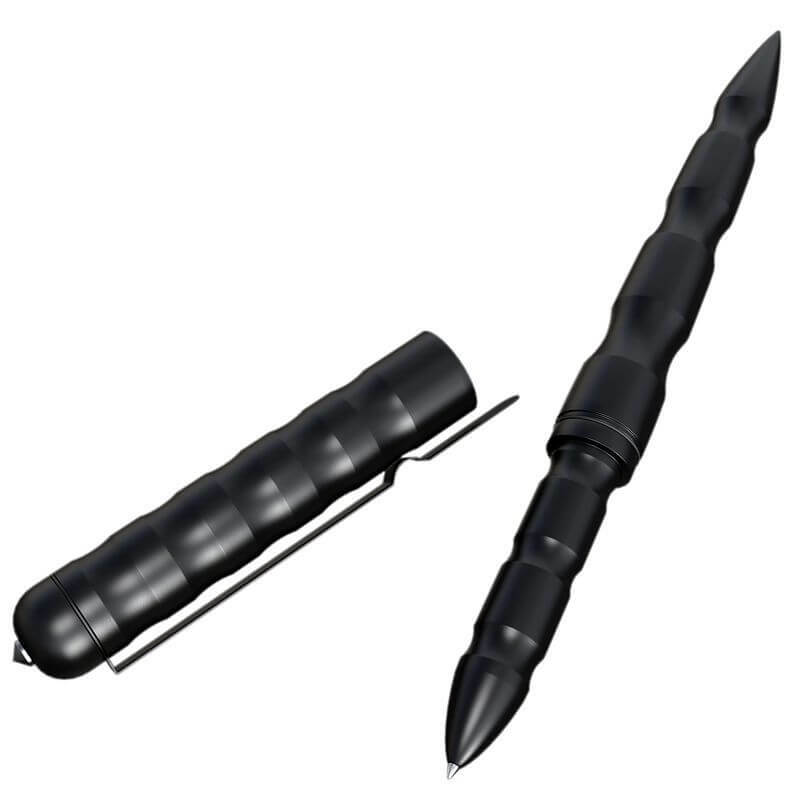 It also writes easily, and uses replaceable cartridges so you can refill it easily.